To work with governments in order to achieve transformational change is a generally agreed ‘do’ among development partnerships. However to put this into practice can prove difficult. 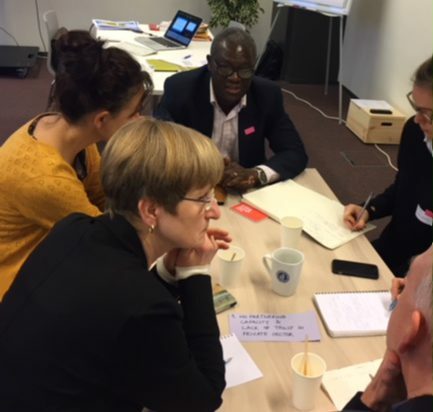 In a dedicated PPPLab masterclass, partnerships tested their ideas with Charles Abugre of the government of Ghana. What were their 3 do’s in working with governments in Africa? On 30 November 2017, the PPPLab organised a masterclass for organisations who are looking for ways to effectively engage African governments to solve complex development problems. This was at the occasion of the annual PPPLab conference, this year focused on how to achieve transformational change. To test their ideas, the PPPLab brought in Charles Abugre, CEO of the Savannah Accelerated Development Authority (SADA) in charge of North Ghana to give a masterclass and share tips and tricks on working effectively with governments. Development challenges are plenty in the North Ghana, an outmigration region which mainly young people tend to leave. SADA’s main goal is to attract investments which can help create employment. In order to make progress on the Sustainable Development Goals (SDGs) – such as food security and water & sanitation, the region needs more public private partnerships (PPPs). However PPPs have in the past faced several challenges in working with governments, such as low capacity and accountability as well as political change. The participants of the masterclass were asked to find out what the motivations and interests of government to engage with PPPs are. The usual response is: when working in developing countries, it is all about resources – leveraging those for development. But providing only financial resources won’t help the partnership to deal with specific challenges in working with governments, such as limited capacity and accountability, neither as a buffer for political change. There are other interests and motivations for government to engage and commit, and potential partners need to be more creative in finding out what these are. The masterclass interviewed the Ghanaian government official to this end. 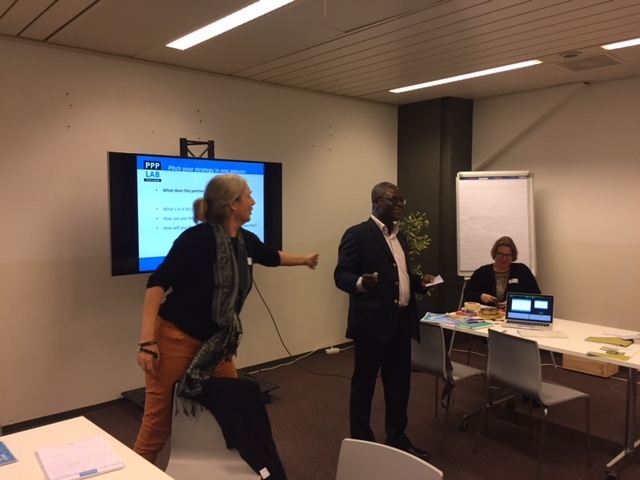 Participants found out that while strengthening capacity is an important motivation as well, governments are also looking for partnerships to help out with enhancing service provision and improving policy design and implementation. Strengthening the government’s (counterpart) political mandate is also an important motivation, albeit often implicit. securing their early commitment in the design phase of the partnership, and build on political momentum for specific development issues. partnering to increase resilience towards political change by working at different levels in a government institution, or also liaising with other (informal) public actors such as chiefs and traditional leaders. Do you want to know more about the PPP that Charles Abugre of SADA is involved in? Check out our PPPLab Exploration study Understanding the Public P: Insights from a PPP case of water management in North Ghana.